We offer much more than great service. We offer piece of mind. We offer you the comfort of knowing you're working with a licensed professional. We offer the confidence that your event will be a success with praise from all that attend. 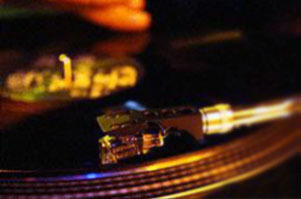 We also provide much more than just a DJ. We don't provide a human jukebox, an announcer, or a pre-programmed computer. We provide a professional entertainer. A talented performer with the ability to read, interact & motivate a crowd into a sweat, but with the experience to know when not to disturb the vibe of a party's natural flow. Our product is not tangible. It's not something that can be picked up at your local department store. Our product can't be touched, but it can be felt...felt deep within. Our product is memories. We're selling an experience. Whether it's a birthday party, homecoming, prom, graduation, wedding reception or family reunion, we provide the sountrack for life. It's those moments in time during our peak experiences that we cherish in our hearts forever. Would you trust that responsibility with just anyone? We've completely updated our stage rig (turntables, mixer & even the case!) to include gear with the latest advances in technology. And we've also recently invested in a brand new equipment hauler (the "Mobile Party Bus") to ensure that we never miss an event. Is your event outdoors? Have no fear, the "Mobile Party Bus" is huge enough to contain our stage rig & PA system to ensure the party never stops, rain or shine. 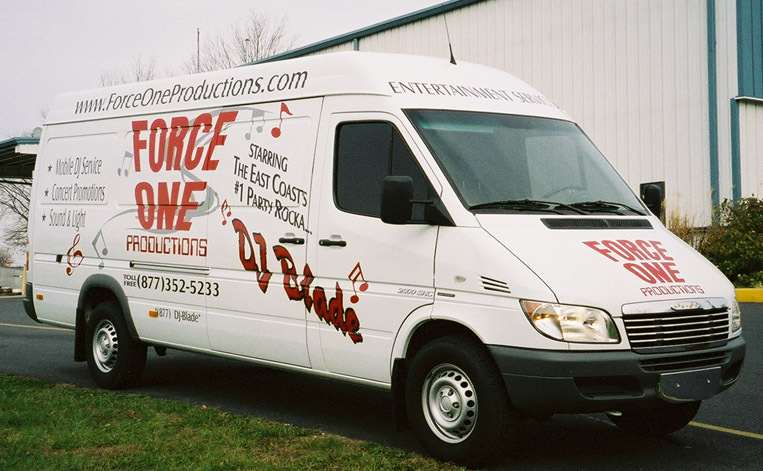 Force One Productions specializes in a wide variety of events. Whether it's a birthday party, school dance, reunion, wedding reception or corporate function, we cater to young & old. Rest assured, we play only clean radio versions of all the latest chart topping hits.